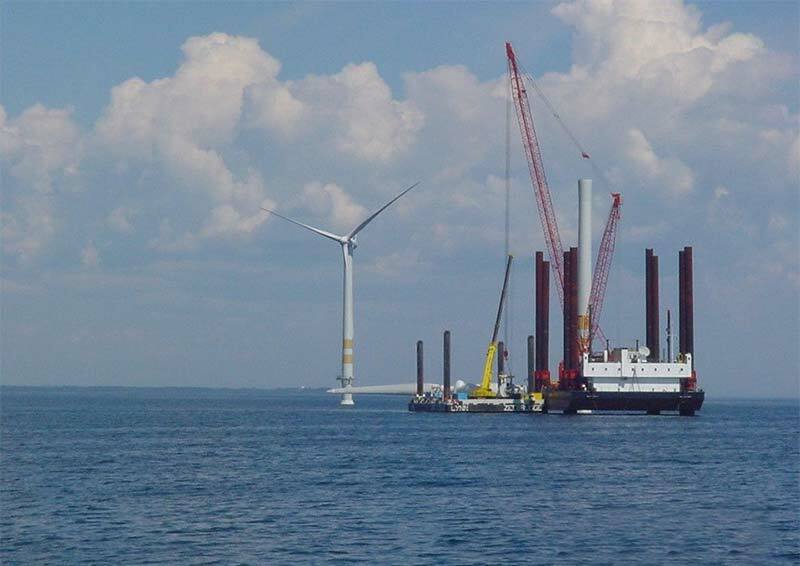 This lecture describes how engineers are meeting the challenges of installing the foundations, the tower and the sails for turbines far out in the North Sea. Stokesley based MPI Offshore are right at the leading edge of technology and their extraordinary specialist barge/ships are often to be seen on the Tees. There will be many issues that are outside the normal working lives of most engineers. What are the ground conditions like at Dogger Bank, off Redcar etc? What are the foundations made of? What are the design forces in the North Sea? How do you drive the foundations? How do you equate the stiffness of the ground to the strength to resist forces? What are the towers made of? How are they put together out at sea? What equipment do you have on your ship to assemble a structure? How has the ship been designed to take the lifting forces? What is it like being an engineer out at sea? The extraordinary lecture should interest anyone wishing to keep abreast of local developments influencing the world, and in particular practicing designers or contractors in geotechnical, structural and civil engineering as well as students just entering the profession.